This extensively renovated house is just waiting for its new family. Updated from top to bottom including electrical (no knob and tube here! ), windows (2005/2018), all flooring (2007/2017), kitchen (2018), bathrooms (2007/2018), shingles (2017), exterior paint (2018) plus much more! Two large bedrooms on the main floor and an open and spacious kitchen make this the ideal family home. Plenty of windows, LED pot-lights and a skylight provide the main floor with an absolute abundance of lighting. 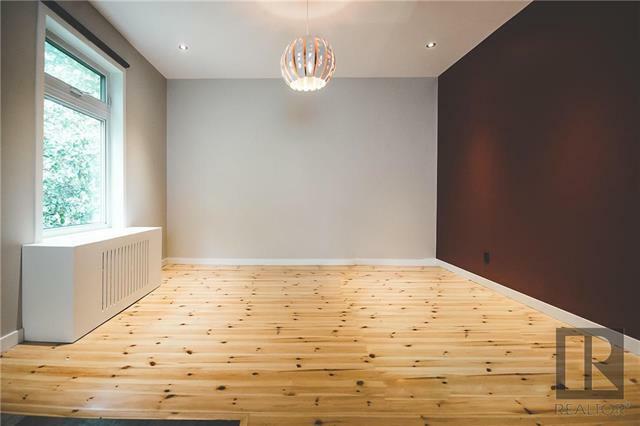 The basement is open and bright, finished with beautiful maple hardwoods with lots of storage. The massive master suite boasts an impressive walk-in closet as well as a beautiful en-suite complete with a double vanity, in floor heating and an indulgent steam shower with dual shower heads. See more specs by clicking here.